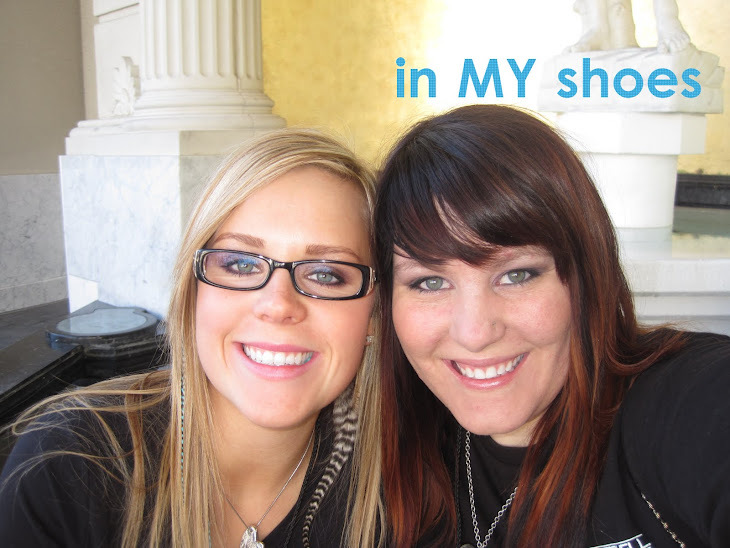 in my Shoes: Just an Update! Well not much has changed in the last little while. The week seemed short actually and I don't know why.. Well today I created a new blog for my portfolio! I am so excited!! It's really nice so far, now I just need more pictures for it. I think that I need to do 2 photo shoots by the end of this month! That is a great goal!! I feel like I am accomplishing so much at the school. Teaching make up class is so much fun!! Being co-in charge of TWO teams, Design Team at nights and Be Nice Team at days is awesome! I thought it would get overwhelming but I keep everything pretty organized. I just hope all our events work out as they are planned... and I hope that I get some events for Design Team. That is a group of our Future Professionals that go to events and do Hair & Make up for people. It's a lot of fun and there are a lot of events during the day, but not many at night. I'll get there. I WILL find them! Adam and I are great! Almost 3 years we've been together. I can't even believe it's been so long!! Last night he said the cutest thing, we were watching FRIENDS it was the episode that Chandler spends $2,000 on plane tickets to avoid telling Janice that he doesn't want to be with her anymore. Adam said he would never spend that much if in the end we would still be broken up, but he would spend that much if it meant we would stay together. Ok, so I thought it was cute! Nothing really exciting ever happens with us. People always ask how we are... and what do they expect me to say, "oh.. we are horrible! we can't stand living together and i think he's going to move out." NO!! Even if that is how it was, I would never tell someone that in passing!! I hate to rub it in, but we are really good! We always are. Sure we disagree on some things, but those things don't run our lives. See Adam and I always HAVE to be right. Yes, you read that correctly. Both of us HAVE to be right. You would think that it would have an affect on our relationship. Adam says there is a possiblility that it does. He's just being difficult. And that is why I LOVE him!! So things are GREAT! Life is AMAZING and I couldn't ask for anything more! Oh, and I am waiting to hear back for the wig people at Hale Centre Theatre, hopefully they'll let me play!! Im glad things are going good with you and Adam. Thats funny you mention you and Adam both have to be right, because I feel that way sometimes about my Adam and I. Thanks again for helping me on my wedding day last minute!